At Rest Assured Hospice, our main aim is to deliver high-quality hospice services to all those in need. Through professional care and concern, our customers should always part with a positive and endearing attitude toward our agency. It is our philosophy to heal the spirit and soul even when the body is unable. We further commit to having superior customer service and kindest regards to our patients as well as those in our employ. We will continually strive toward outstanding services as a leader and role model within the hospice care industry. Rest Assured Hospice is a non-profit organization dedicated to providing quality end-of-life care. 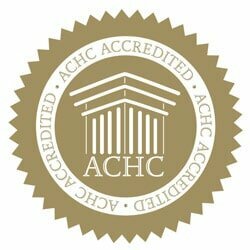 Rest Assured Hospice is accredited by the Accrediting Commission for Health Care (ACHC). Give us a no-obligation call or stop by our agency to discuss the many benefits of involving hospice and to see if this benefit is right for you or a loved one.